When Hortense (Marianne Jean-Baptiste), a successful black optician learns she is adopted she goes in search of her birth mother. 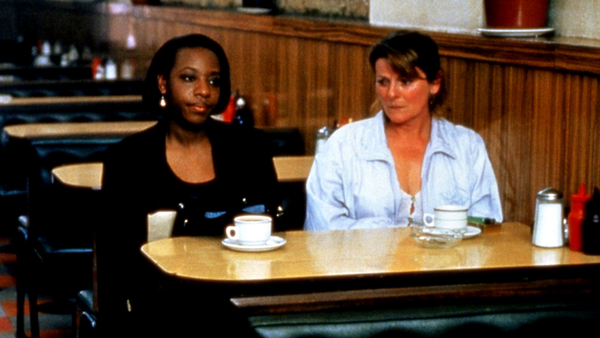 She turns out to be Cynthia (Brenda Blethyn) a working class white woman, who is estranged from her brother Maurice (Timothy Spall) and struggling to connect with her teenage daughter. But as the reunited Cynthia and Hortense’s friendship starts to blossom, Cynthia’s already tense relationship with her family becomes even more complicated as revelations emerge during one uncomfortable family gathering. At Cannes, Leigh said his award was “encouraging for those of us who are trying to make films about people, relationships, real life, love, passion, caring and all the things that matter.” His finely observed, hilarious and deeply felt film does exactly that and remains a work of extraordinary emotional richness.